Satisfied with Dr Jacobs consultation and have good reduce of pain in the neck muscles. Quite relieved with neck pain. I would recommend this centre J H Rehabilitation our friends and relatives. Visited Dr.Haresh with high hopes for the treatment of my daughter. She has improved a lot in her actions .We are happy and satisfied about Dr.Haresh Consultatio n and way of explaining was understandable. We have taken right choice in coming to right place for treatment. Nice improvement in movement of hands for my Daughter Thakshika. She has been coming for the therapy for just two weeks , and all the therapists and staffs are very friendly. Dr.Jacob is friendly and makes us understand in a simple way about the treatment done. Will surely recommend this Rehabilitation centre for persons who are in need. Dr approach is very friendly, showing dedication. Whenever we are giving suggestions he take positively. IAM satisfied with Dr Jacobs consultation and IAM releived with muscles pain in my shoulder. 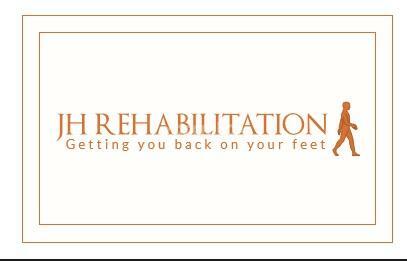 I would recommend this centre J H Rehabilitation to my friends and relatives. I thank Dr Jacob for the service he has given. Doctor Jacob is a sportsman and a physio. His knowledge stems from practical experience. He answered all questions patiently. Along with my medial Aliments questions- when I told him I can’t diet- he guided me very positively and told me how diets are temporary and how I should stick to basic food I am eating and continue to exercise. He did not prescribe unnecessary medications, tests etc. We came to visit doctor haresh for treatment a nd Co nsultation. We are happy and satisfied about doctor haresh Co sultatio n and way of explaining was understandable. We have taken right choice in coming to right place for treatment.